Star Wars dropped some very exciting news on fans today in the form of two casting announcements in one. 12 Years a Slave star Lupita Nyong'o and Game of Thrones' Gwendoline Christie have joined Star Wars: Episode VII. Specifics on their roles are about as detailed as all the other casting news, in that there's nothing specific mentioned about who they're playing. But this does add two very talented females to the cast of the anticipated Star Wars followup. When Star Wars first announced their cast, there was a noticeable skew in the male to female ratio, with Carrie Fisher and newcomer Daisey Ridley as the only two women mentioned. But we knew that the film was in search of another female lead to play a major role in the story. Whether or not Lupita Nyong'o or Gwendoline Christie are taking that role is unclear, as the official announcement makes no mention of their character names, the nature of their roles or how prominently either of them will be featured in the film, only that they've joined the cast. Lupita Nyong'o earned praise and attention for her performance in 12 Years a Slave, which also earned her an Academy Award. 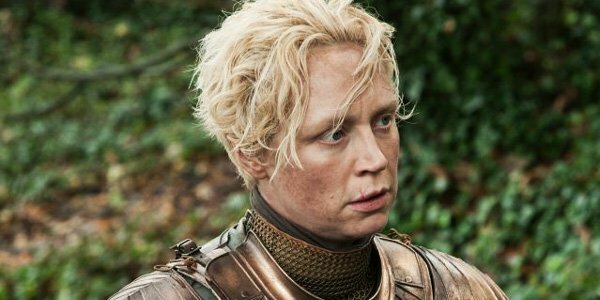 Meanwhile, Gwendoline Christie has been impressing us pretty regularly with her performance as Brienne of Tarth on HBO's Game of Thrones. Coming up, we'll see her in the feature adaptation of The Hunger Games: Mockingjay, in which Christie replaced Lily Rabe in the role of Commander Lyme. Lupita Nyong'o and Gwendoline Christie join original Star Wars stars Harrison Ford, Carrie Fisher, Mark Hamill, Anthony Daniels, Peter Mayhew, and Kenny Baker in Star Wars: Episode VII, along with fellow newcomers to the franchise, John Boyega, Daisy Ridley, Adam Driver, Oscar Isaac, Andy Serkis, Domhnall Gleeson, and Max von Sydow. Star Wars: Episode VII is slated to arrive in theaters December 18, 2015.